The cheese sauce can stand alone, for one thing. Anyone who's been paying attention around these parts probably already knows how we at F&W feel about Shake Shack sandwiches. (For those who haven't: We feel good about them. Very good.) So it should come as no surprise to know how excited we were to hear about this summer's new pop-up burger: The Bacon CheddarShack burger, which hits all U.S. locations—barring JFK Airport, stadiums and ballparks—on June 3. The burger will feature all natural Angus beef, double-smoked Niman Ranch bacon, and a cheese sauce made with both a 3-year aged Wisconsin cheddar and American cheese. 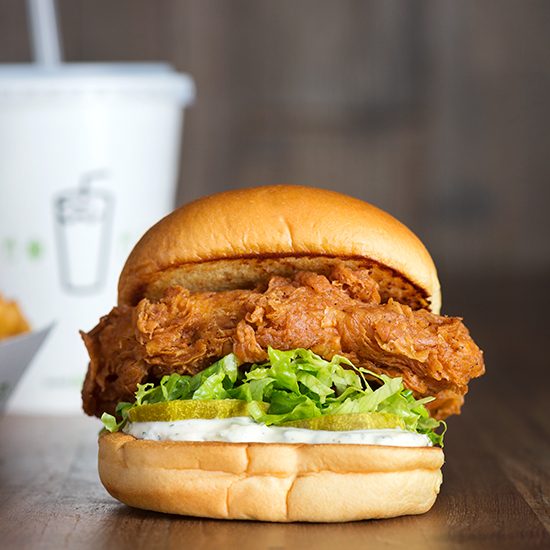 "We wanted to bring a sharp, punchy note to the sauce while also keeping that creamy richness," said Mark Rosati, Shake Shack's culinary director, in an interview with F&W. "Cheddar has that sharpness and richness, and the 3-year aged Wisconsin has a lot of power, but the American cheese gives it that creaminess." 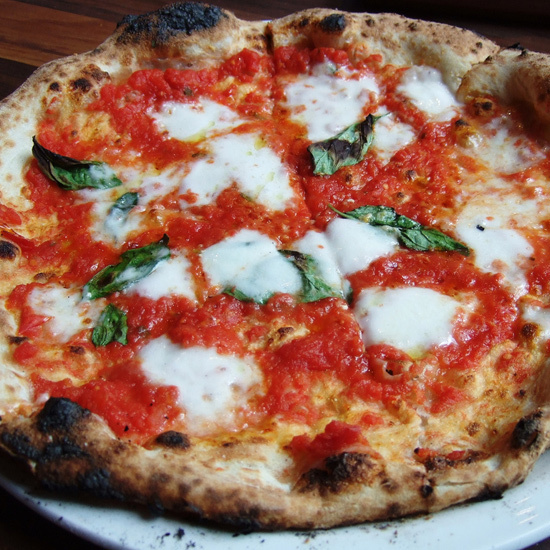 His team also wanted the sauce to be able to stand on its own, Rosati said, so it incorporated lime for acidity and sautéed vegetables for herbaceousness. "We wanted to make the cheese sauce itself very well balanced, so we created different flavors within the sauce. In general, we try to make burgers that are composed in such a way that all the ingredients have a reason for being there. We wanted to create an overall complexity about the sandwich." Technical cheese sauce details aside, at end of the day Rosati said the goal was simply to create "a good-feeling burger" where "pleasure is released with every bite." We'll take his word for it—until June 3. Then you can find us in line, waiting to test the results. For professional reasons, of course.